This morning I came across an article on JD Supra that discussed several scenarios when an accidental disinheritance could occur. An accidental disinheritance. In other words, you inadvertently disinherit a loved one by failing to properly update your estate plan on a regular basis. Instead of your life insurance proceeds or retirement accounts going to the people you intended them to go to, such as your adult children, they go to an ex-spouse or your step-children whom you hadn’t intended to leave money to. This most frequently can happen after a divorce or remarriage, if one of your beneficiaries dies, or if a child is born that you leave out of your estate plan. In the article referenced above, the author reviews several highly contentious cases that dealt with the division of life insurance proceeds and retirement accounts in a divorce and remarriage situation. Without going into the boring legal technicalities of those cases, I thought it my be helpful to run through a real-world example of how an accidental disinheritance can occur. 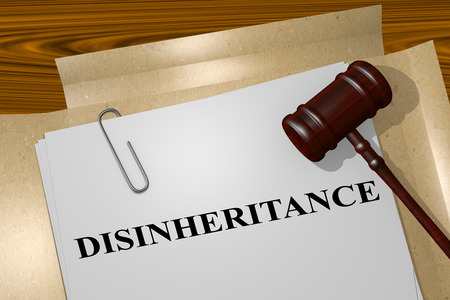 How Does an Accidental Disinheritance Occur? What Could Joe and Jane Have Done Differently? How Should Your Beneficiary Designations Be Structured? Need Help with Your Beneficiary Designations? Click Here to receive our FREE Wealth Planning Spreadsheet and keep track of all your accounts and designated beneficiaries! Here’s the basic fact pattern. Jane and Joe get married and have two children, John and Sally. They do the responsible thing and prepare their estate plan and each purchase $1 million of life insurance, naming each other as beneficiaries. After twenty years, Jane and Joe fall out of love and decide to get a divorce. Neither of them updates their estate plan, which is now almost as old as their marriage. Jane decides to get remarried to Roger, who has several children of his own from a previous marriage (aka step-children). Soon after, Jane dies tragically in a car accident one evening. Since Jane failed to update the beneficiary designation on her life insurance, who receives the proceeds? Jane would have wanted some of the money to go to her new Husband Roger, and some to go to John and Sally. Under this scenario, the funds would go to Joe, her first husband who is listed as the beneficiary under her policy – NOT her current husband, Roger. Now let’s take this a step further. Let’s say that Joe also got remarried, and he never updated his estate plan either. Joe receives the life insurance proceeds from Jane and promptly deposits this money into a joint account with his new bride Rebecca. Shortly thereafter, Joe has a heart attack and dies. In North Carolina, a divorce will terminate any beneficiary designation in Joe’s original will that would have left property to his ex-spouse, Jane. But this doesn’t much matter because 1) nobody can find Joe’s original estate planning documents that had been drafted so many years before, and 2) even if they could, when the Joe deposited Jane’s life insurance proceeds into a joint account with his new wife Rebecca, he titled them such that they would not pass through probate anyway. Instead, because the proceeds were deposited into a joint account, they bypass probate and go straight to Rebecca. As a result, everything that Joe has, including his personal property, the new home he bought with Rebecca, and the $1 million of life insurance proceeds, will go to his new bride, Rebecca. 6 months after Joe dies, Rebecca, who had been diagnosed with an aggressive form of cancer around the time that Joe died, passes away herself. The $1 million she received, via Joe, from Jane’s original life insurance policy is left to her children from her previous marriage. John and Sally, who were the intended beneficiaries of their parent’s planning all those years ago, are left with nothing. But what about Joe’s life insurance? You are an astute student to be sure. You remembered that the Joe also had a life insurance policy. Well, Joe was smart enough to re-do his beneficiary designations after Jane died, but he made a mistake in not seeking some guidance on how to properly name his beneficiaries. Consequently, he named his new wife Rebecca as the primary beneficiary and John and Sally as the contingent beneficiaries, when he meant to list Rebecca as the recipient of 25% of the policy and John and Sally as 37.5% each. The Rebecca (Joe’s new wife) and her children received approximately $2 million in life insurance proceeds that was never intended for them. John and Sally are left with nothing. In other words, they were accidentally disinherited by a lack of planning on the part of their parents. To begin with, Joe and Jane should have been updating their estate plans regularly. This means reviewing their beneficiary designations each year and making sure that everything was properly updated. Second, with $1 million in life insurance a piece, Joe and Jane could have put in place a living or testamentary trust that would have held their life insurance proceeds for them after they passed on. They could have named their trust as the beneficiary under the life insurance policies, and could have provided for what would happen to the trust in the event of their divorce. A trust could have also required that each of them sign a prenup in the event of their remarriage or else they would have been removed as trustee of the trust and their children, John and/or Sally could have been named as successor trustees. This would have given John and Sally the ability to control the trust assets and keep them in the “family”. Suffice it to say, properly naming your beneficiaries for your various accounts is extremely important. And equally important is keeping those beneficiary designations up to date. Life Insurance – Name your trust as the primary and your spouse as the contingent. You may also create a separate Life Insurance Trust to receive these proceeds. Retirement Accounts – Name your spouse as the primary beneficiary and your trust as the contingent beneficiary. You can also draft a standalone retirement trust to receive the distributions from your retirement accounts. Bank Accounts – Either re-title the account into the name of your living trust, or name your trust as the primary beneficiary on the account. Real Estate – Should be placed into the trust at trust formation. Otherwise, should be titled as tenants by the entirety with your spouse or have a transfer on death provision in the deed. The importance of properly naming and updating the beneficiaries under your estate plan cannot be understated. Once you become disabled, incapacitated, or worse, it is too late to do anything. If you or someone you love is in need of an estate plan review to determine what, if any, updates need to be made to your estate plan, please contact our Cary Estate Planning office at (919) 883-4861 or fill out our convenient online form by clicking here. 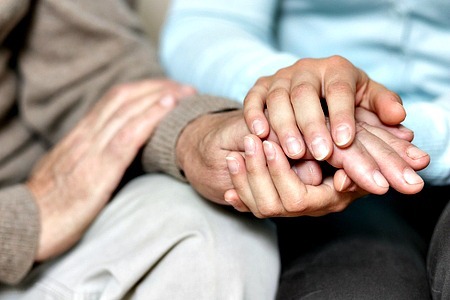 Previous Post: « You Just Found Out You Have a Terminal Illness… Now What?